How Do Bail Bonds Work? What Will Bail Cost in Rancho Cucamonga, CA? If you've received a call from a loved one informing you of their current predicament be sure your next call is to Arrow Bail Bonds so we can get them released fast. Since 1974 the friendly team at Arrow Bail Bonds has been providing the public with discreet bail bond services in Rancho Cucamonga, Southern California. Our vast network of agents work hard to get loved ones released as quickly as possible following an arrest. We understand that arrests can happen at anytime which is why we never close. Our agents are just a phone call away and we are happy to answer any questions you may have about bail bonds, including how bail bonds work, or to get started on the paperwork to have your friend or family member released. We know that this is a trying time for you but while communicating with our professional team of bail agents we will ensure that you feel comfortable throughout the complete bail process. 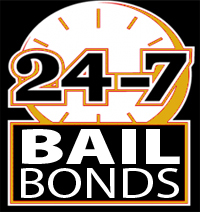 Give Arrow Bail Bonds a call for 24/7 bail bonds in Southern California or elsewhere in the USA. Arrow Bail Bonds is a family owned and operated bail agency in Rancho Cucamonga dedicated to offering friendly and honest service. We know you're going through a rough time, but please, let us help you get your friend or other loved one released from jail so they can continue on with the day to day life. Our commitment to personalized service just goes to show that we truly care about your situation and we'll do anything we can to help you with the bail bond process. When you need a bail bond there is no need to call up a big named agency just because you saw them on a TV show. You need a company that will treat you like family and get the job done. At Arrow Bail Bonds we do just that. We offer you our undivided attention when it comes to getting your loved one released from jail. Be sure to contact as soon as you learn that someone you care about has been arrested so we can start the release process right away. 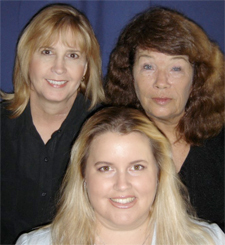 The agents at Arrow Bail Bonds are your Southern California bail bonds experts. Give us a call at (909) 891-0578 anytime day or night, 365 days a year for superior bail bonds in Rancho Cucamonga CA, Ontario CA, Clairmont CA, Fontana CA, and San Antonio Heights CA.